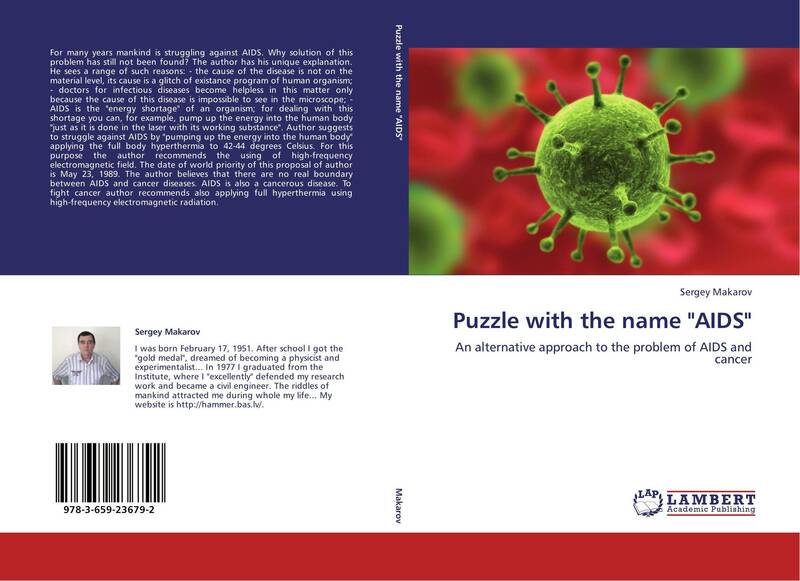 Puzzle with the name "AIDS"
Bookcover of Puzzle with the name "AIDS"
For many years mankind is struggling against AIDS. Why solution of this problem has still not been found? The author has his unique explanation. He sees a range of such reasons: - the cause of the disease is not on the material level, its cause is a glitch of existance program of human organism; - doctors for infectious diseases become helpless in this matter only because the cause of this disease is impossible to see in the microscope; - AIDS is the "energy shortage" of an organism; for dealing with this shortage you can, for example, pump up the energy into the human body "just as it is done in the laser with its working substance". Author suggests to struggle against AIDS by "pumping up the energy into the human body" applying the full body hyperthermia to 42-44 degrees Celsius. For this purpose the author recommends the using of high-frequency electromagnetic field. The date of world priority of this proposal of author is May 23, 1989. 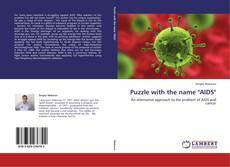 The author believes that there are no real boundary between AIDS and cancer diseases. AIDS is also a cancerous disease. To fight cancer author recommends also applying full hyperthermia using high-frequency electromagnetic radiation.